Today, anything (anything) that carries the Star Wars logo sells like hotcakes. Officially licensed products flood the market, from Lego sets to coffee mugs, and everything in between. Any item that may become an object of merchandise, it surely will. And it will sell, again, and again, and again. Star Wars, in fact, single-handedly kick-started the movie merchandise business. And business is good. And so they roll, the Star Wars dollars. The latest installment of the long-running saga, The Force Awakens, is well on its way to become the most financially successful movie, ever, effortlessly flicking away the previous chart-toppers, film titans Avatar and Titanic, without so much as a hint of remorse. Yet, the saga’s humble beginnings took place indeed a long time ago, in a galaxy far, far removed from the current mighty glory. Shortly after graduating from the University of Southern California (USC), George Lucas co-founded American Zoetrope with fellow film maker Francis Ford Coppola. Lucas wrote and directed THX 1138 (1971), a futuristic tale which received critical acclaim, but was a financial flop. He next directed the seminal American Graffiti, released by Universal Studios in 1973. American Graffiti would receive five Academy nominations, including Best Picture. Universal Studios had actually hired Lucas for a two-movie contract, and thus Lucas began working on a new project, an epic space opera tentatively dubbed The Star Wars. Lucas didn’t know it yet, but two of those letters would forever alter the cinematographic landscape worldwide, and make him personally a very, very wealthy man. Nevertheless, the project was almost stillborn. Fresh from American Graffiti‘s commercial success, George Lucas actually considered retiring from film making altogether, as he felt the writing and directing process took a heavy personal toll on him. Still, harkening back to THX-1138, a movie about a grim, dehumanized world, sort of spurred Lucas on to embark on a new journey. Taking influence from diverse sources, such as Akira Kurosawa’s The Hidden Fortress, and the 1930’s serial Flash Gordon, Lucas originally envisioned The Star Wars as a self-contained film, rather than a long-running saga. However, as he undertook the writing of the story, he quickly realized that the material could be greatly expanded far beyond one single film. Still, the first draft was indeed rough. The story was contrived and convoluted, very difficult to understand. And Lucas’s poor grammar did not do it any favors, either. Altogether, Lucas wrote four major drafts for The Star Wars project, each expanding on the previous one, and making substantial alterations as he went along. Luke Starkiller became Luke Skywalker, The Imperial Space Force morphed into the Empire. The Jedi appeared, and The Star Wars dropped the article to become simply Star Wars. Slowly, all elements fell into place. But despite his best efforts, the movie proved a hard sell. Lucas pitched the idea to United Artists and Universal Pictures; in a decision that would prove ill-advised, both refused. United Artists in fact ceased to exist as a film studio shortly after the release of Star Wars, due to the catastrophic failure of Heaven’s Gate (1980). Finally, Lucas went to Twentieth Century Fox. They bought it, and history was made. From the outset, Star Wars proved incredibly difficult to put together. Lucas’ vision for a grandiose and epic sci-fi opera far surpassed the technical capabilities of the era (this was in the mid-seventies, remember, way before the advent of CGI and computer-aided cinematography.) The director soon realized that he had a monster in his hands, one that would take a heavy toll on him after months of gruelling filming and editing work. The special effects required for Star Wars would turn out to be a constant source of pain and frustration for Lucas and his team. For starters, shortly after Fox accepted to make the movie, Lucas learned that the studio’s special effects department no longer existed. Hence, he created his own, Industrial Light and Magic (ILM), a division of his own production company, Lucasfilm. Yet, ILM would go from one challenge to another, as the team struggled to make things work the way Lucas wanted. George, always a man with little tolerance for failure, would not accept technical limitations. He believed the special effects would work by his sheer determination to make them so, though this proved a fallacy more often than not. At the beginning, the spaceships would be little more that plastic models on strings. The planets, moons, etc. depicted on the movie were actually painted balls, and if you think that the escape pod used by the droids to blast off the Tantive IV frigate looks like two buckets of paint, that’s because it was made out of the halves of two paint buckets glued together and painted over. Indeed, for a test screening for studio execs, stock footage of WW2 aircraft was actually used, simply because ILM could not produce anything workable at the time. The studio people were aghast, and came out believing that the project would be a monumental flop. The actors hired did not fare much better. Because of the fractured nature of the filming process, scenes were shot in a random order, often without any sense of what the actual storyline was, and with Lucas making constant changes. Lucas himself often treated his actors with open disdain. His directions would often be limited to “faster” or “more intense”. At the time when Lucas lost his voice during filming, the actors actually gave him two hand written signs with those commands printed, in an act of open rebellion. The firm belief that Star Wars would be the last movie they would ever make slowly set in among cast and crew. At one point, Lucas would work a grueling 12 or 14 hours day to get the movie editing done on time. The man swore that if he ever did manage to complete Star Wars, he’d never film another shot, ever again. He began suffering hypertension due to the immense pressure he was under, and had to be temporarily checked into hospital for rehabilitation. To make matters worse, Lucas showed an early cut of the film to a few colleagues, Steven Spielberg and Brian de Palma among them. Reportedly, Brian de Palma spent most of the time laughing at what he considered to be the “worst movie ever.” Spielberg however, more optimistic, did accurately predict that Star Wars would make millions of dollars. It was in this panorama of uncertainty that Lucas finished the movie. Yet, utterly convinced that it would be a massive flop that would effectively end his career, he went on holidays to Hawaii with his pal Steven Spielberg, instead of attending the movie’s premiere. During this holiday break, both men would come up with the basic premise which would go on to become Raiders of the Lost Ark (1981). Fox’s people also believed the movie would be a total flop, and in fact almost sold their stake in the film, to minimize losses. However, this decision was reversed at the 11th hour. 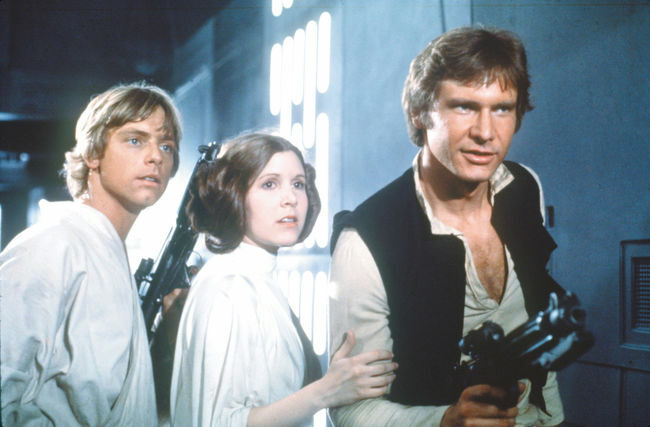 Then, Star Wars premiered for the general public on May 25, 1977. And the rest, as they say, it’s history. From humble beginnings, and largely driven by Lucas’ determination, Star Wars soon became a worldwide phenomenon. The film was originally shown in just 32 cinemas across America. Back in those days of 1977, pre-release marketing of a movie was virtually unheard of. Nevertheless, it soon became apparent that Fox had a massive success in their hands. Indeed, the studio’s stock value more than doubled within weeks of the film’s release. And by the time the movie reached European shores around Christmas of that year, Star Wars was well on its way to become the phenomenon that it is today. Battlestar Galactica (1978), for instance, would likely not have existed had it not been for the phenomenal success of Star Wars. The seminal Blade Runner and The Thing were released in 1982, along with the more family-oriented Tron and E.T. The latter would actually topple Star Wars as the highest grossing movie ever, albeit only temporarily. Star Wars would retake the crown after its re-mastered re-release in 1997. A myriad films would attempt (and mostly fail) to capitalize on Star Wars’ success. Hundreds of low budget sci-fi flick would flood the market. Some would gain some notoriety; The last Starfighter (1984), Dune (1984), and Enemy Mine (1985), an update of Hell in the Pacific (1968), to name but a few. Others would become great successes; The Terminator (1984), Aliens (1986), both from the creative mind of James Cameron, though The Terminator did borrow some ideas from Harlan Ellison’s short story ‘Soldier.’ Ellison in fact sued The Terminator‘s producing company, Hemdale, and its distributor, Orion Pictures, for plagiarism. The lawsuit was settled out of court for an undisclosed amount, and Cameron was forced to add an acknowledgement to Ellison’s story in subsequent prints of the movie. Today, Star Wars reigns king among kings. Its iconic music, opening crawl, its characters, and its mythology have long since entered into the fabric of society. And with Star Wars: The Force Awakens (2015) heralding the arrival of a new trilogy, the myth is still going strong. The ‘RTE Investigates’ programme aired last night exposed the greed and rather unbecoming moral stance portrayed by some Irish public servants. 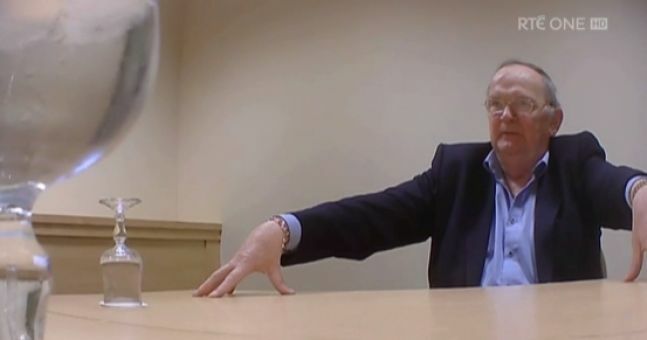 An undercover reporter, posing as a wind farm investor, approached three politicians, Sligo County Councillor Joe Queenan (Fianna Fail), John O’Donnell, an independent member of Donegal County Council, and Fine Gael coucillor Hugh McElvaney of Monaghan County Council, asking for their help in securing planning permission. The individuals in question agree to help, expecting something in return, of course. The reporter is heard speaking to the men, and each of them dig their own grave and line it with personal greed. Mr. McElvaney, for instance, asks early on “What’s in it for me” and “Are you going to pay me by the hour or by the job.’ He then proceeds to ask for an initial payment of 10k. And then we have Mr. Queenan, who is seen explaining that he is considering setting up an agri-feed business, and may require financial assistance in the future. The figure bandied around is 200k, though at no point does Mr. Queenan ask for any “fee” in exchange of his help. In the wake of the scandal, Councillor Joe Queenan has resigned, and there are calls for the other two individuals to do the same. RTE’s effort has uncovered a grim reality in politics, and the public is this morning feeling shocked, ashamed, and let down by the very people who are supposed to represent them. 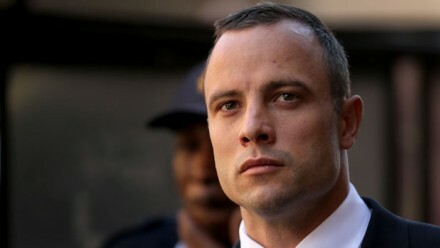 The athlete has been granted bail at the High Court in Pretoria this morning, as he awaits to hear his fate for the murder of his girlfriend Reeva Steenkamp. It is now widely expected that Pistorius will be accused of murder, and may face up to 15 years in jail. Pistorius has announced his intentions of appealing the new conviction at the Constitutional Court, a process which may take months. His legal team has agreed on the date of April 18 2016 for the appeal hearing. The athlete will remain under house arrest until then.